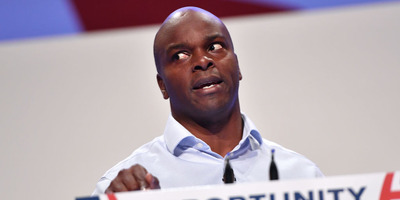 Shaun Bailey has been urged by London Conservatives to slash cheap transport for Londoners. Conservative delegates at his “Manifesto for London” event called for the “hopper” bus fare discount to be scrapped and free travel for pensioners to be slashed. Other ideas raised at the meeting included extending the tube to “s***hole” parts of London and a new fleet of self-driving buses. Labour accused the Tories of plotting to make travel more expensive. 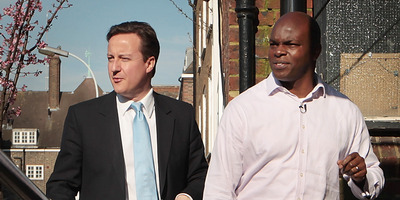 The Conservatives denied any plans by Bailey to adopt the policies. 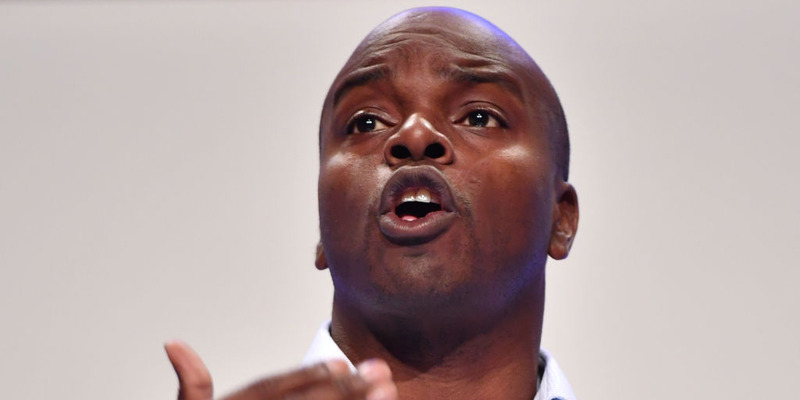 LONDON – The Conservatives discussed plans to take free travel away from hundreds of thousands of pensioners and scrap a popular discount on bus travel, at a meeting of London Tories held for their mayoral candidate Shaun Bailey at their party conference in Birmingham this month. 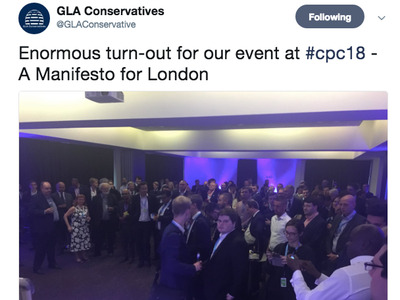 The “Manifesto for London” event was introduced by Bailey, who is standing against Labour’s Sadiq Khan in 2020, and chaired by his Conservative colleague on the London Assembly, Andrew Boff. 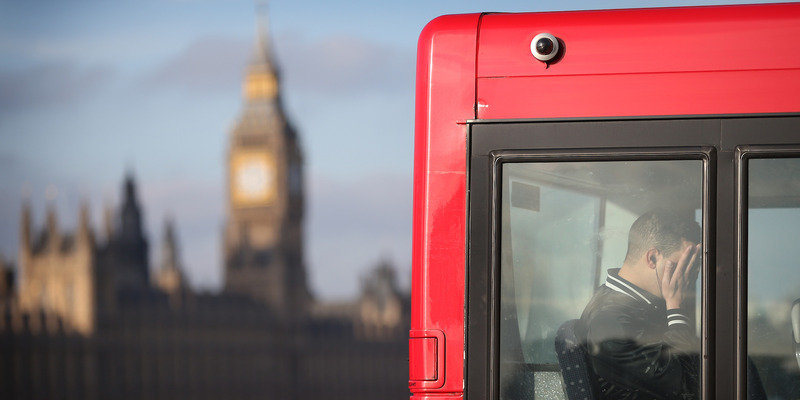 Delegates discussed plans to remove free travel from millions of Londoners and extend the Tube to “s***hole” parts of London, plus a striking proposal to introduce a fleet of “autonomous” self-driving buses across the capital. Londoners aged 56 and over currently benefit from free travel on the Tube and buses under the Freedom Pass scheme, funded by London councils. 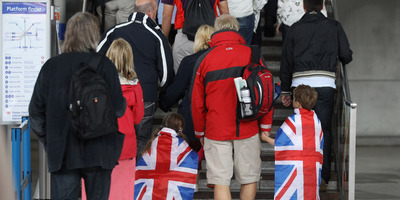 However, delegates at the event suggested that the age after which Londoners can qualify for the pass should be raised to 75, with one delegate describing it as a “bribe” for older people. “The freedom pass was introduced to basically bribe old people and I think quite a lot of 56-75 could probably afford it anyway,” they said. However, other delegates argued that doing so would be hugely unpopular with London voters. 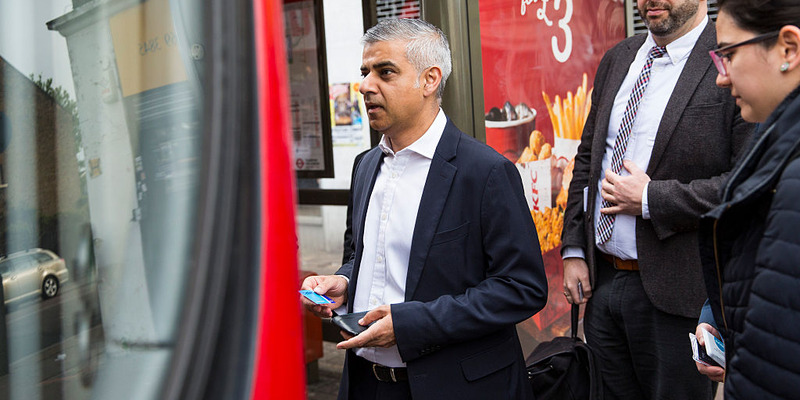 When Khan became Mayor of London he introduced a new system by which Londoners are allowed to make unlimited journeys on buses and trams within one hour for the cost of one single fare. However, delegates at the Conservative conference discussed scrapping the so-called “hopper” discount, as “it costs a lot of money.” Other Conservative delegates in the room argued against the move, however, suggesting that Khan’s policy had proved popular with Londoners. One of the stranger ideas raised at the policy forum event was for a fleet of “autonomous” self-driving buses to be rolled out across the capital. This, one Conservative delegate argued, would be a natural successor to the so-called “Boris Bike” scheme introduced by former Conservative London Mayor Boris Johnson. “We had the ‘Boris Bike’ so now we could have the “Shaun Bailey Autonomous Bus,” they explained. They argued that the buses would allow London to remove the influence of transport unions in the capital, because bus drivers would no longer be needed. However, other delegates in the room worried that the new fleet of autonomous buses could cause a wave of fatalities on London’s roads. “When cyclists and other road users end up dead under the wheels of the automated buses it would be known as ‘Shaun Bailey’s Killer Buses,” the delegate commented. Labour accused the Conservatives of plotting to make commuting more expensive for Londoners. 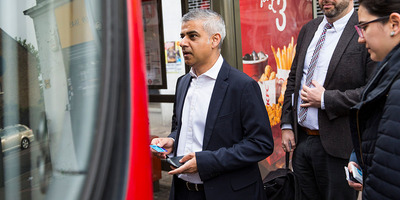 “Londoners know from bitter experience that the Tories increase TfL fares and make commuting more expensive whenever they are in power – fares went up by 42 per cent when Boris Johnson was Mayor,” Labour MP Andy Slaughter told Business Insider. However, the Conservative party dismissed any suggestion that Bailey would take up the plans. “This was clearly an open forum for delegates to discuss policy ideas,” a Conservative spokesperson told Business Insider. “They have not been adopted by Shaun, and to suggest otherwise is derisory. Shaun alone will announce his policies in due course over the coming 18 months. Bailey has come under pressure from the Labour party in recent days to apologise for a string of offensive comments and articles he made in the past. On Sunday Business Insider revealed that Bailey had ;claimed that single mums in inner cities “deliberately become pregnant” in order to secure homes and benefits from the government.